Let me borrow Sir Abraham Maslow's literature to start this blog, "In any given moment we have two options: To step forward into growth or to step back into safety". I will leave to you how you'll interpret his quote since it's very straight forward for everyone. 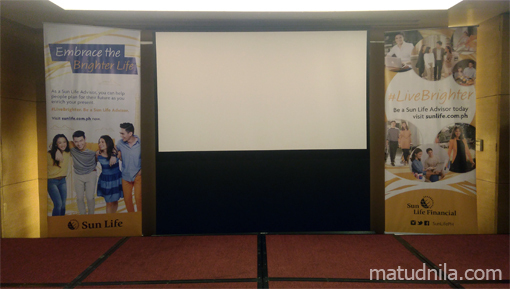 The latest Sun Life Grand #LiveBrighter Forum held at Quest Hotel Cebu is both educative and a career talk. I will elaborate a little about it in few sentences below. Sun Life Grand Live Brighter Forum is educative, it imparts life lessons that are not thoroughly emphasize in school. It presented data that will help you understand the value of financial products such as ordinary Life Insurance, variable Life Insurances and Mutual Funds. The resource speakers elaborate more about products Income Protection, Health Protection, Education Fund, Retirement Fund, Business Fund, Car/House Fund, Travel Fund and others. It's also a career talk for aspiring Financial Advisors, those who have passion to help other people to plan their future. Sun Life Advisor and Manager Candidate Don Ursal shares his experience as a Financial Advisor to inspire the crowd attending the Forum. As a financial advisor, it also entails a rewarding compensation. Your consistent performance leads to monetary bonuses on top of commissions. Top performing advisors enjoys all-expense travels locally or internationally, the opportunity to earn is endless. And there's also an avenue for recognition such as excellence awards and the Macaulay Club uphold the values that make Sun Life one of the top insurance provider in the country. Here's what you need to do if you wanted to be part of the Sun Life Financial Advisor Team. If you want to follow your passion, live a life of purpose and wanted to help secure People's future, then you've done the initial steps already. Now, since being a Financial Advisor is a professional career, you must take and pass the Licensing Exam at the Insurance Commission, before that you should also attend interviews and take the Personal Orientation Profile (POP) Screen Test. Visit your nearest Sun Life Financial office for more details. 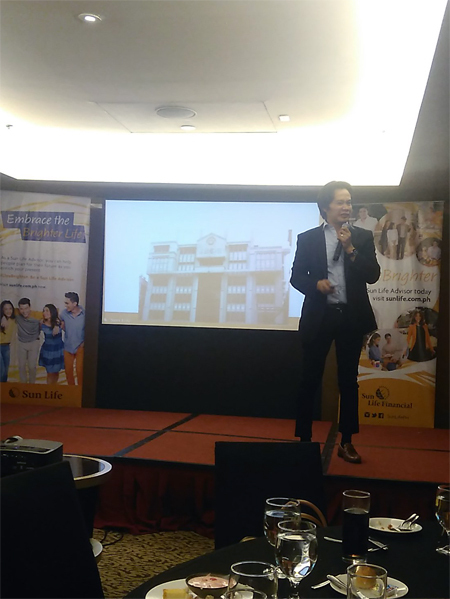 0 comments: on "Sun Life Financial Grand #LiveBrighter Forum: Educative and A Career Talk"